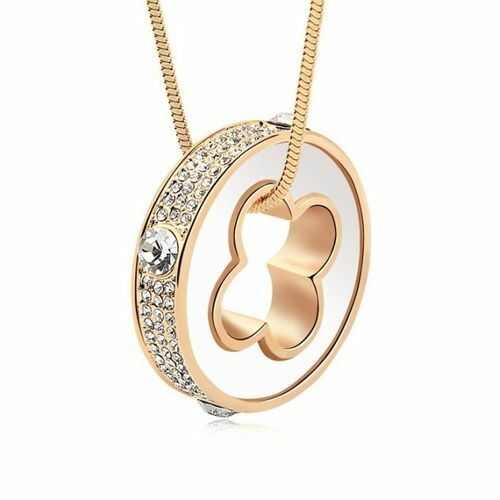 Exquisitely designed, Klover is one of the most sensational pieces of jewellery we have had the honour of providing our customers. 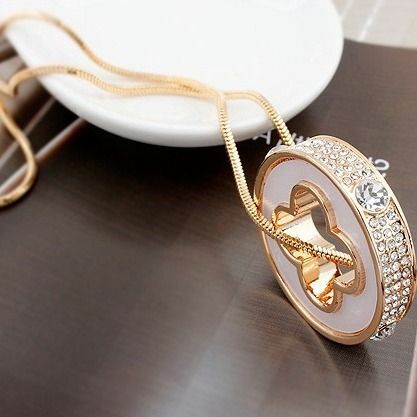 This beautiful pendant sits on a long golden chain approximately 75cm long. 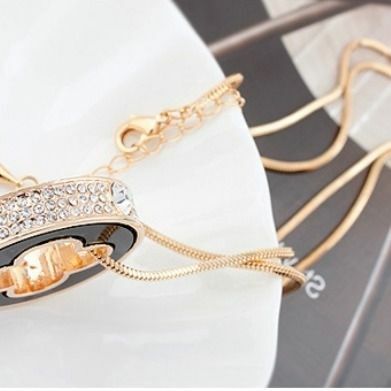 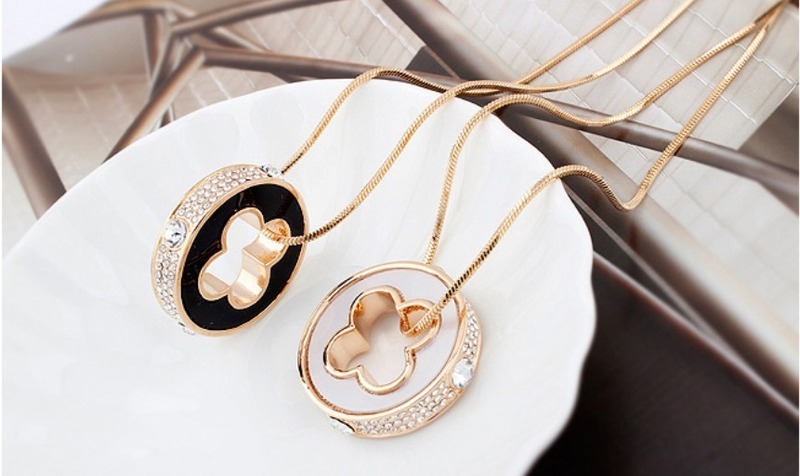 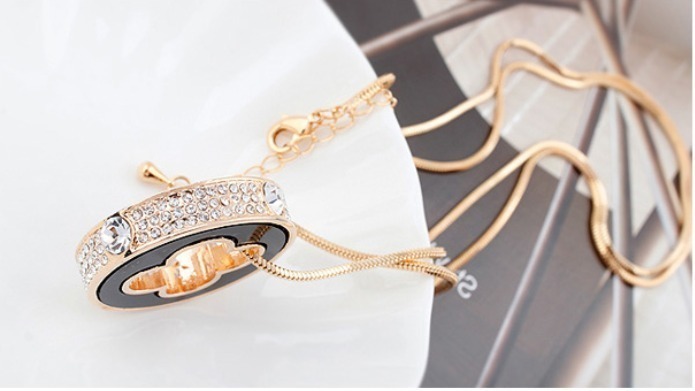 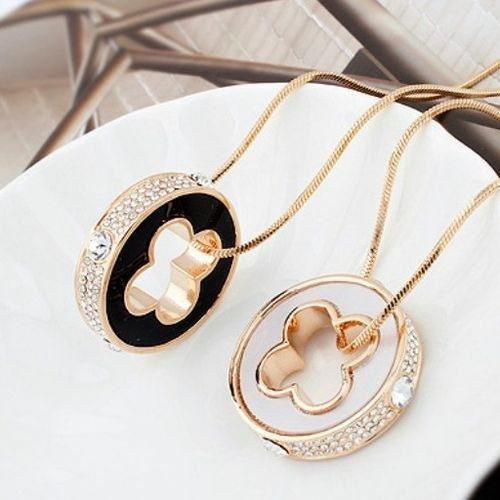 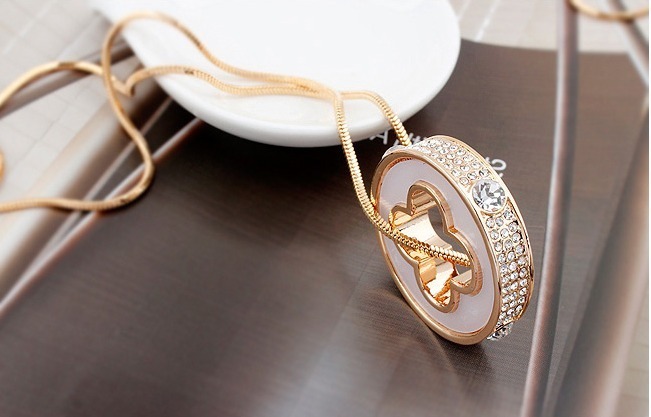 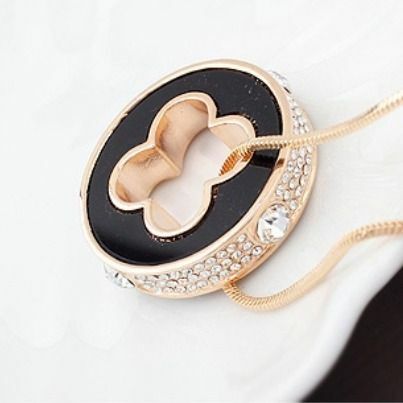 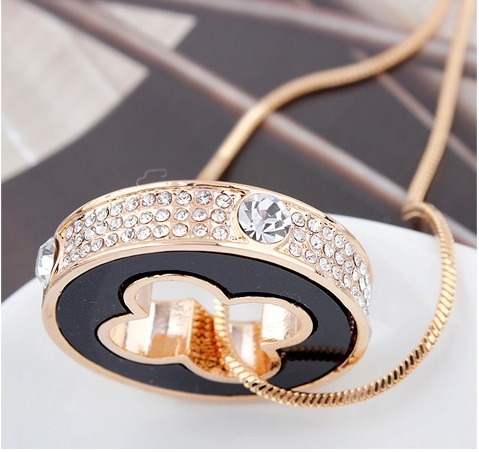 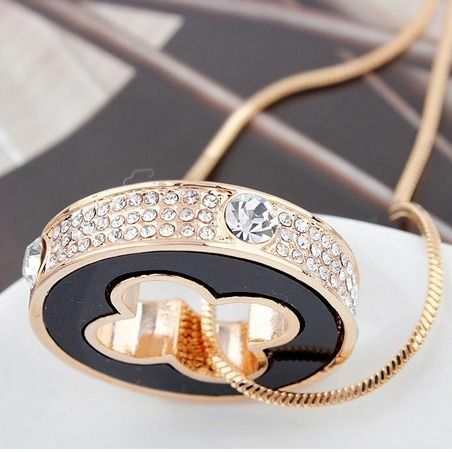 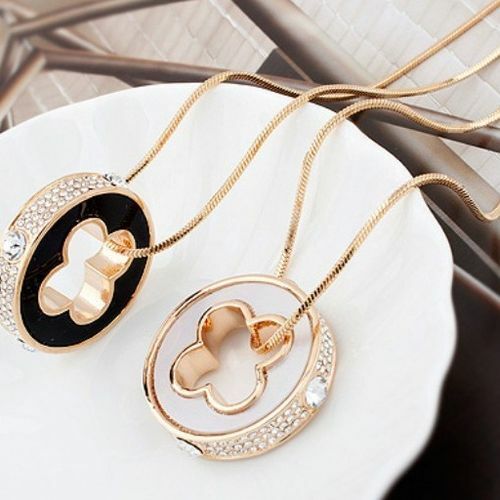 The circular pendant comes in two colours, Black and White, and is encrusted with clear crystals the whole way round.